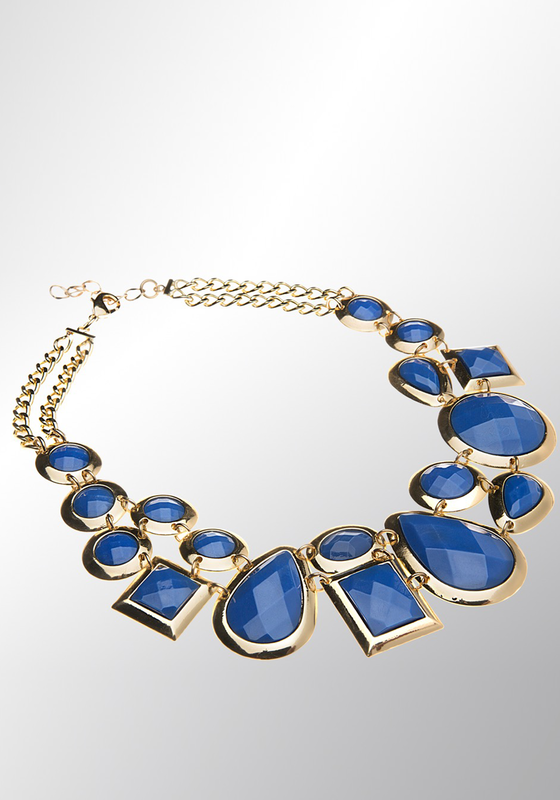 This necklace from the eShe jewellery collection by Newbridge will give your outfit lots of style. 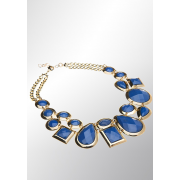 A gold plated necklace that features a range of different shaped blue coloured stones. It will sit flat against your skin and closes with a lobster style clasp.